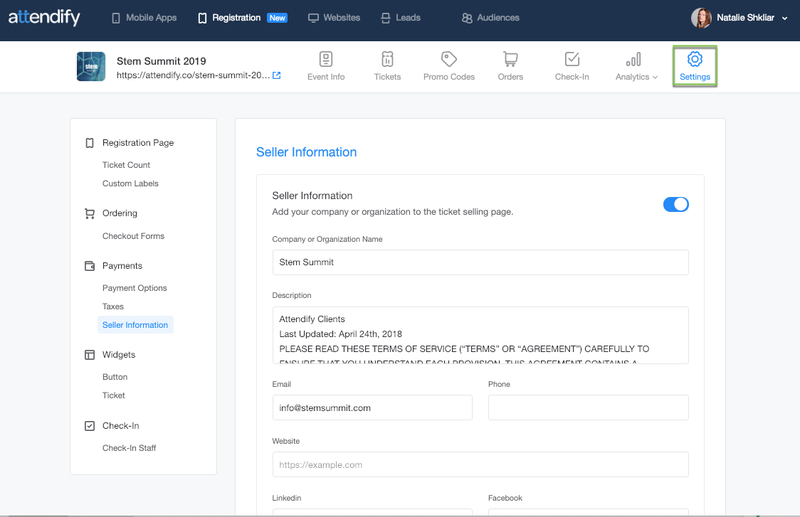 Some Registration management features are hidden and become available only after it's published. In the Promo Codes section you can create and manage Discounts and Unlock promo codes for your tickets. Go to the Orders section to add and manage the orders. You can find detailed info on managing Orders here. Head to the Analytics section to view and export the statistics. In the Settings section you can manage your Registration Page, Payments and more. If you have any other questions, feel free to contact support at support@attendify.com or to chat in on any Attendify webpage.